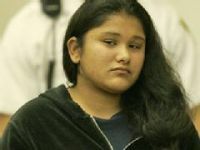 Massachusetts--A 23-year-old nursing assistant has been placed under house arrest after police say she repeatedly abused several nursing home patients, some of them as old as 96. Kara A. Murphy of Quincy, was arrested at her home on Thursday night after a co-worker had contacted police and told them that Murphy had done horrific things to some of the patients at The Atrium at Faxon Woods, in Quincy. Murphy allegedly slapped four elderly Alzheimer's patients and in one incident grabbed an 89-year-old woman by the jaw when she began defecating and subsequently forced her onto a toilet. A police report cites Murphy also telling the co-worker, "I should make her eat it". The CNA is also accused of bouncing up and down on the lap of a 96-year-old woman, who uses a wheelchair and has also been charged with slapping a 92-year-old woman and hitting another, age 79. Murphy has since plead not guilty to seven counts of assault and battery on a person over 60.